Trade professionals across Eastern Florida agree that to see immediate increases in the value of a home, homeowners should invest in remodeling their bathroom. When you and your clients are ready to begin remodeling your bathroom, make ProSource® of Sarasota your first and last stop. In our showroom, you’ll find the products you need to transform your bathroom. The bathroom sink is far more than just a vessel in which you wash your hands. It’s part of the stylistic statement your bathroom makes. At ProSource, you’ll find above- and under-counter mounted options alongside our regal pedestal-mounted options. 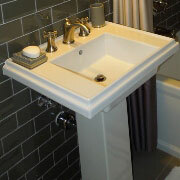 We offer sinks in all sorts of sizes, shapes, and materials. 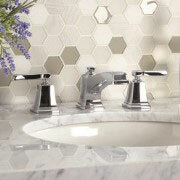 Often overlooked by homeowners, trade pros recognize the importance of a fine faucet in the bathroom. The faucet both moves water into the sink and helps to unify the decor and atmosphere of a bathroom, especially when paired with a matching sink and vanity. The shower is used nearly every day by clients. Craft this everyday essential into an effervescent and energizing experience when you use the shower doors, handles, heads, and other accessories form ProSource of Sarasota. 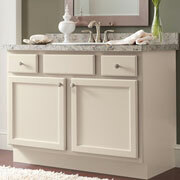 The vanity is an easy and beautiful way to add storage and style to any remodeled bathroom. Your client can mount their sink and faucet here, as well as store bathroom necessities like towels, soaps, and more. They’ll enjoy the appearance of the vanity and the storage it provides. ProSource offers tubs for every budget and every bathroom. 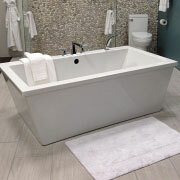 Whether you’re putting in a new stand-up tub and shower combination or a luxury marble tub, trade pros can find a tub that perfectly fits the appearance and size of any bathroom. The humble toilet is a necessity in any bathroom. But its humble nature doesn’t mean it must be humble in looks too. 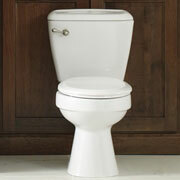 Our showroom is home to a wide variety of toilets in a myriad of finishes, styles, and designs. Ask our bathroom designers about our low-flow models that reduce a client’s water consumption and saves them money.